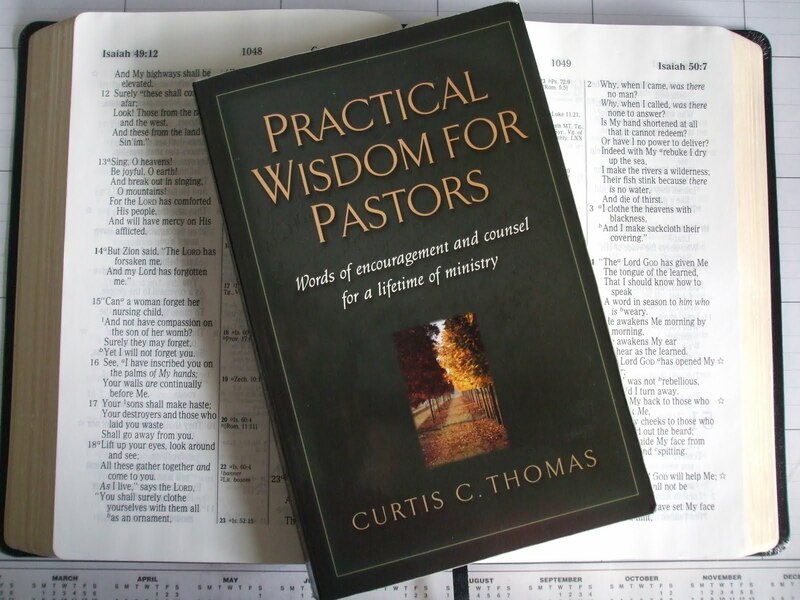 While I was on vacation, I read a book that my father gave to me for Christmas and the book is written by Curtis C. Thomas, which is titled, Practical Wisdom For Pastors - Words of encouragement and counsel for a lifetime of ministry. I read the paperback and not the Kindle version, since I didn't have one yet at Christmas, but I digress. I began reading Practical Wisdom For Pastors on Saturday morning, June 26th during both of our flights from New York to Kansas. Sunday I did not read, but did finish the book over Monday and Tuesday and I think the total time it took to read 272 pages of this book was approximately 8 hours, which is probably the fastest I've ever read a book too. The book is definitely a great read and filled with a lot of great wisdom for a person such as myself that is entering a life of pastoral ministry. Thanks again to my Dad for buying this for me! There are several other pastors that have contributed an endorsement of this book, three of whom I greatly respect are: Steven Lawson, John MacArthur and Albert Mohler. Each of these pastors believe strongly in the exposition of Scripture too, which added to my appreciation for the book. The author highly recommends regular expository preaching too. Each section concluded with references for additional study, which is very helpful too. The entire book is excellent and I can hardly say that any one or two chapters were my favorite because all of it was great. However, section 3 - Study Habits and section 4 - Messages were indeed an excellent reaffirmation to me regarding these two areas. Probably the one area of ministry that new pastors will struggle with is what to preach each week. Section 4 of this book offered some great advice and since it is coming from a pastor who is sharing his wisdom for a more effective preaching ministry, I'll take it. In today's church environment, there is a belief that topical sermons are better than expository sermons. Pastors feel they need to preach something that will be good for them to hear and so, they choose a topical sermon. Topical sermons are, they believe, easier to preach because it requires less work to prepare. Topical type sermons sound good and are varied from week to week, but the great trouble with preaching topically is that the pastor will always be searching for something to preach about. The author says that topical preaching, "does not teach the congregation to know how to interpret and apply the Word for themselves" (p. 65), which I would highly agree with that assessment. John MacArthur provides a brief explanation concerning what it means to preach by exposition and you can hear that at this link. Expository preaching and the preparation of an expository sermon requires a lot of work and is not easy. This is probably the reason why so many young and even seasoned pastors avoid preaching by exposition because of the thorough work that is needed to prepare a sermon. In a two part message titled, The Consequences of Non-expositional Preaching (part 1, part 2), John MacArthur lists 15 reasons why sermons that are not expositional, neither help the pastor, nor help the congregation. Call it biased by him or I, but I think he's right and it shows in his congregation. 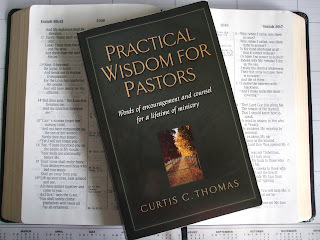 While I have written a bit about the wisdom of preaching exposition from this book, which was my favorite, I admit, every other section of the book was filled with as much valuable wisdom too. I hope that many seminarians will consider having this book in their library and one that will be easily accessible and referred to often. This book would especially be helpful for those seminarians that are preparing for an internship within a local church too. No matter how long a pastor has been serving his congregation that doesn't mean he could not benefit from this book either. He most certainly can!